First-rate facilities and award-winning services make Rutherford County a top sports destination. When it comes to planning a sports event, you expect the highest performance level—from yourself and from everyone you work with. Your destination of choice should be held to the same high standards. If you pick Rutherford County, you’ll be selecting the Sports Capital of Tennessee, and a community that was named of the Best Sports Cities in the U.S. by The Sporting News. Rutherford County, located in the heart of Tennessee, has some of the top sports facilities in the state, award-winning services, and a strong passion for athletics. It’s also home to the first two FootGolf courses in Tennessee. Rutherford County’s vibrant community has hosted a range of sporting events and is a perfect place to have your athletic competition. Located in Murfreesboro, Richard Siegal Soccer Complex is a premier soccer facility nestled on 137 acres of land. It hosts several local, state and professional competitions, including the Nashville Soccer Club Cup and the 2019 US Youth Soccer National Presidents Cup. It features 15 soccer fields: one champion lighted soccer stadium, eight standard lighted fields and six standard non-lighted fields. It also has five pavilions, concessions and two meeting rooms. 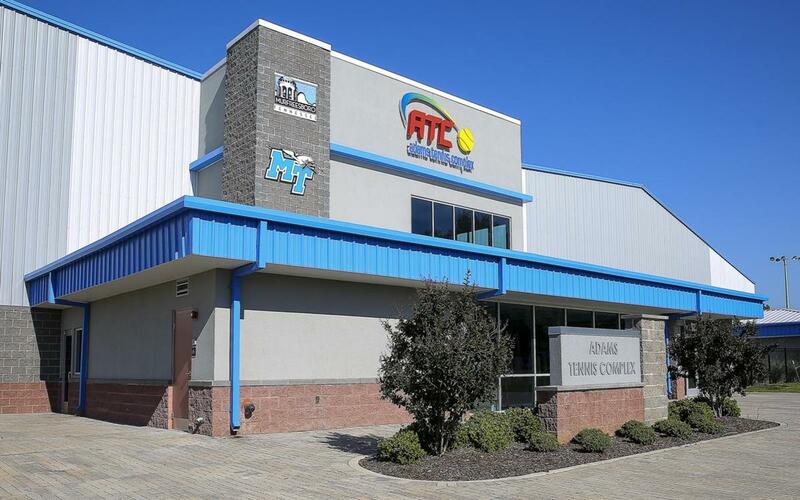 For those in need of an expansive facility for a tennis event, Adams Tennis Complex is the place. It has played host to many major events like the TSAA State Tennis Championships, the USTA Tennessee Adult State Championships, and the Conference USA Women’s Tennis Championships, among others. This Rutherford sports venue consists of 24 outdoor tennis courts—16 of which are lighted—and eight asphalt indoor courts. There are three picnic shelters, electronic scoreboards, a lounge area and concessions. 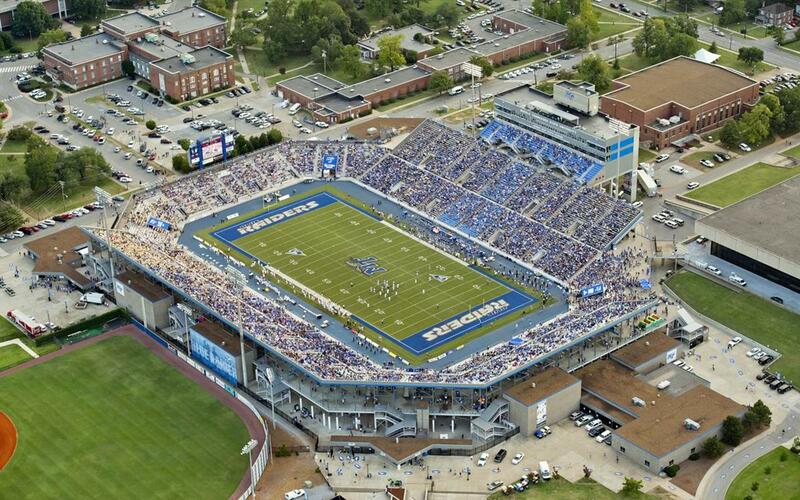 On the campus of Middle Tennessee State University, sports planners will find an array of facilities equipped to host a range of events. Basketball, volleyball and track events can be held at Murphy Center. The 10,000-seat arena has two auxiliary gyms and a six-lane, one-sixth-mile indoor track. 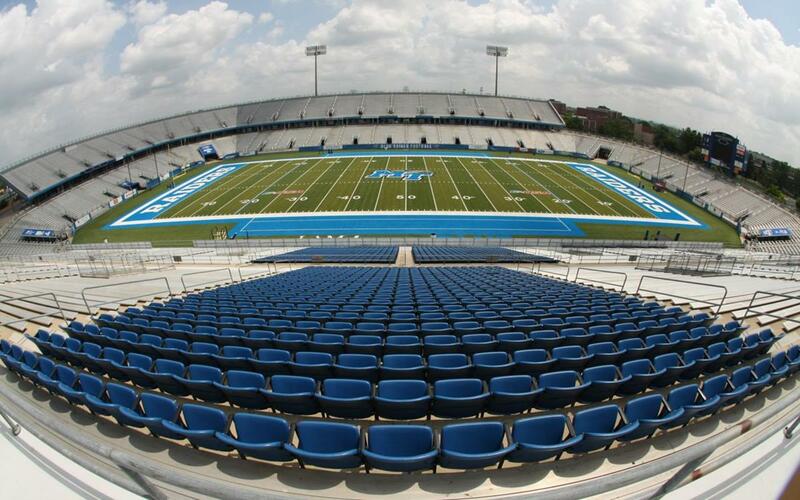 Johnny “Red” Floyd Stadium is home to the MTSU football team, and has seating for 32,000 fans. Baseball and softball competitions are easily accommodated at Reese Smith Jr. Baseball Field and the Softball Complex, with 2,600 and 1,000 seats, respectively. The Dean A. Hayes Track & Soccer Stadium boats an Olympic-size track with eight lanes, two long jump runways, pole vault, javelin, high jump and hammer/discus cage. Bouldin Tennis Center features 14 courts, with covered bleacher seating; while Alumni Memorial Gym offers state-of-the-art volleyball scoreboards and seating for 2,000. Many local, regional, and international horse shows have graced Rutherford County at the Tennessee Miller Coliseum. The 222,000-square-foot facility is the venue for horse events, as well as cheerleading, motorsports, truck/tractor pulls and more. It has hosted events such as the SEBRA Bull Riding Championships, Lonestar Rodeo, and the TSSAA State Cheerleading and Dance Championships. The coliseum features a covered warm-up area, concessions, 400 parking spots and seating for 4,600 people. A multi-purpose sports venue, McKnight Park is a top destination for a wide variety of sporting events. 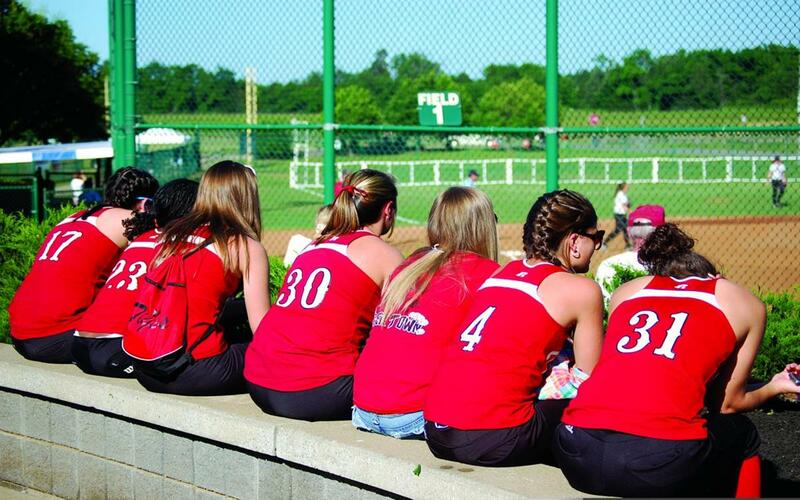 It has hosted the TSSAA State Softball Championship and the USSSA Baseball/Softball Tournaments. It features five baseball/softball fields, four additional youth softball fields, and eight youth or adult soccer fields. The nearby Sports*Com Recreational Facility has a 25-yard indoor pool, a 50-meter outdoor pool, a gym, and sand volleyball courts. 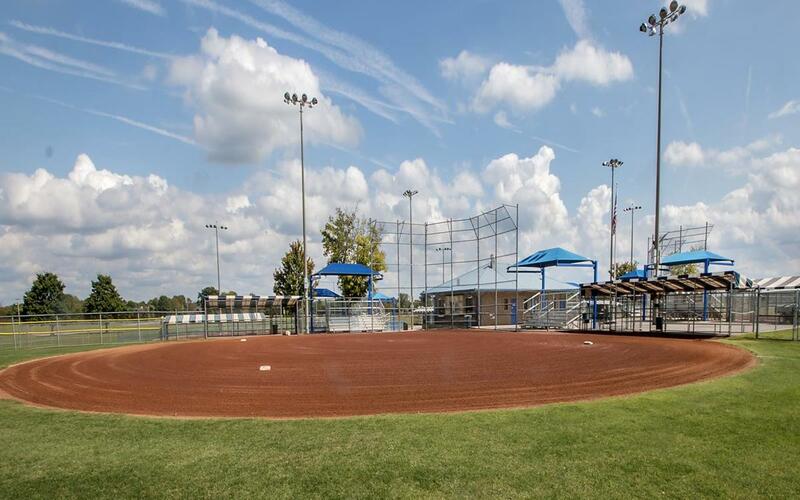 Barfield Park is a top sports venue that has hosted several major events, including Baseball Players Association World Series, the Tennessee State Disc Golf Tour Finals and the Tennessee Youth Baseball Association State Tournament. It consists of eight lighted baseball/softball fields, an 18-hole championship disc golf course and parking for 600 cars. Host to many local, regional and national sports events, Smyrna Rotary Soccer Park is a world-class facility in Rutherford. It has held the SRFC Invitational Girls College Showcase and the NRS-SRFC Championship Invitational Soccer Tournament. It features 16 soccer fields, a .9-mile walking trail and a pavilion. Rutherford County is more than just an amazing sports town, it’s also a top tourist destination with plenty of activities to keep visitors entertained. Put your climbing skills to the test at Climb Murfreesboro, the largest indoor rock-climbing gym in Tennessee, which has over 16,000 square feet of climbing space, a kids funtopia area and fitness and yoga classes for adults. Visit Earth Experience, Middle Tennessee Museum of Natural History. This interactive museum features exhibits that showcase much of Tennessee’s history, from dinosaur fossils, minerals and archeological relics. Or head to the Discovery Center, a children museum and nature center, where kids can explore 30,000 square feet of space with new exhibits showing up all the time. Cool off at Lucky Ladd Farms, an award-winning, six-acre farm that features fun water adventures, exciting animal encounters, wagon rides, nature tails and innovative playgrounds. The Smyrna Outdoor Adventure Center programs specialize in environmental education, recreational activities and outreach. The center features interactive exhibits, a gallery showcasing local art, an adventure zone with rock climbing and climbing structures. We at Tennessee Youth Baseball Association (TYBA) have always had a great experience working with our own Rutherford County Convention & Visitors Bureau. TYBA has been hosting youth baseball tournaments at Murfreesboro Parks & Rec ball fields for 17+ years and in Rutherford County recreation for 31 years. It has been a real pleasure working with people that have a heart for youth sports and who dedicate their resources to make a pleasurable experience for participants coming into our great city. Sometimes there is not enough credit or words to say “Thank you” for the job you do, Rutherford County Convention & Visitors Bureau. Rutherford County, at the center of the state, provides an ideal location for TSSAA State Championships. No qualifying team has to travel too great a distance, and the CVB works closely with hotels and venues to make sure teams’ needs are met during their stay. 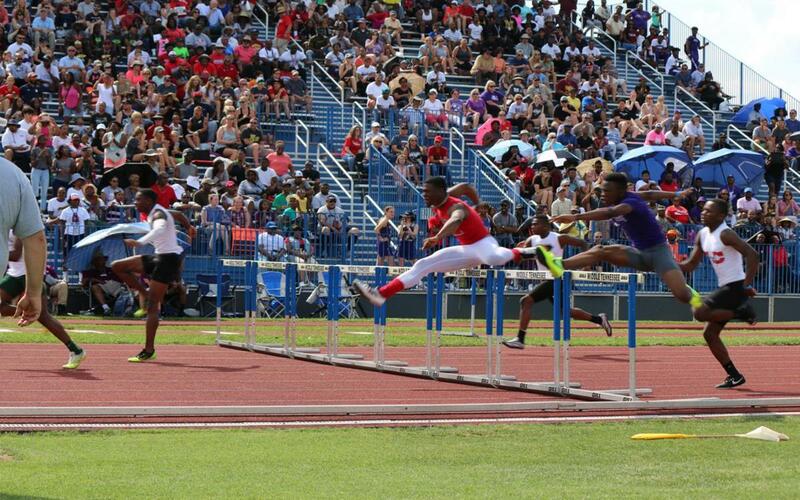 High school athletes across the state have come to know Rutherford County as a place where champions are made. By Car: Rutherford is situated just southeast of Nashville and is easily accessed from I-24 and SR-840. By Air: Rutherford County is served by Nashville International Airport. BNA has over 450 daily flights, and offers several non-stop routes from many major cities.